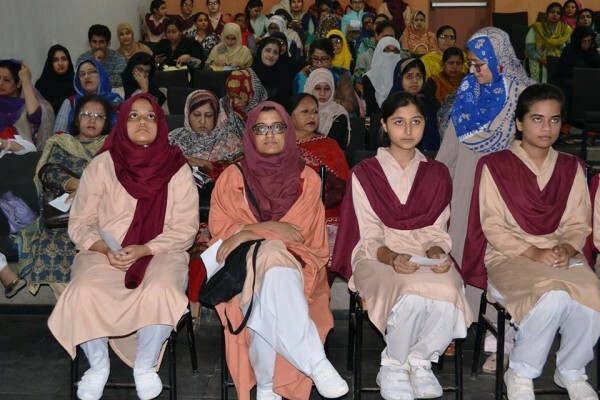 National Volunteer Programme celebrated World Health Day in collaboration with Zindagi Trust at the SMB Fatimah Jinnah Girls School. The day was proudly celebrated by hosting a Mental Health Workshop, with a theme ‘Depression: Let’s Talk’, on Friday 7th April 2017. The purpose of this workshop was to provide an opportunity for teachers of our registered schools to take part in a discussion on ‘How to Nurture Students’ Mental Health’. Teachers from 11 schools including Rana Liaquat Craftsmen’s Colony – RLCC, Zindagi Trust (Khatoon-e-Pakistan and SMB Fatima Jinnah Girls School), four campuses of Behbud Association, Justuju Welfare Organization School, Nobel Academy, Habib Public School as well as The Garage School attended and actively participated in the event. The special guest speaker for the workshop was Dr. Farhan Rauf– a public health physician & researcher, associated with NVP as a volunteer consultant. His thoroughly interactive session aimed to engage the teachers in informative discussions where the teachers were able to voice out their opinions and experiences so that others could learn from it too. During the workshop, Dr. Farhan Rauf took the liberty to measure the teachers’ average stress levels through a stress test and to inform them about the need to maintain their stress levels for a healthy life. Through this event, teachers were able to identify significant signs of depression in students and ways to overcome them. The lecture emphasized upon the mental health issues faced by students when starting or changing school, making new friends, going through puberty and preparing for exams etc. The rest of the discussion was based on identifying, preventing and managing mental health disturbances in young students. “We are conducting the Workshop of Teachers on Saturday 15th April 2017. This will help our teachers to analyse the stress level in them and will help our students to reduce the stress level and focus more on academics”. 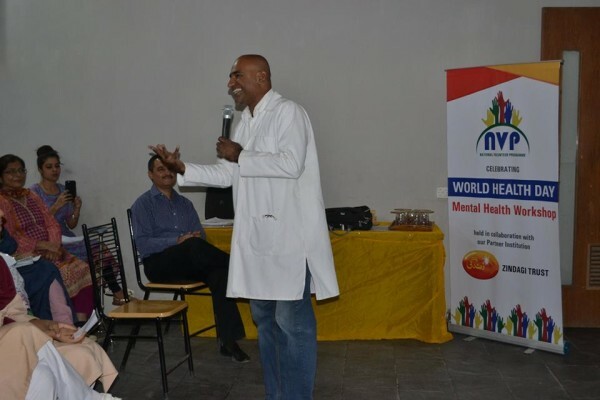 Overall it was a highly informative and much-needed workshop to talk about mental health issues and to remove the stigmas associated with it, in order to create a mentally and physically healthy world for everyone. NVP aimed to reach as many people as possible through this initiative and was indirectly responsible for spreading the message across to more than 9000 students under the 80+ teachers that were present for the workshop. We are grateful to Miss. 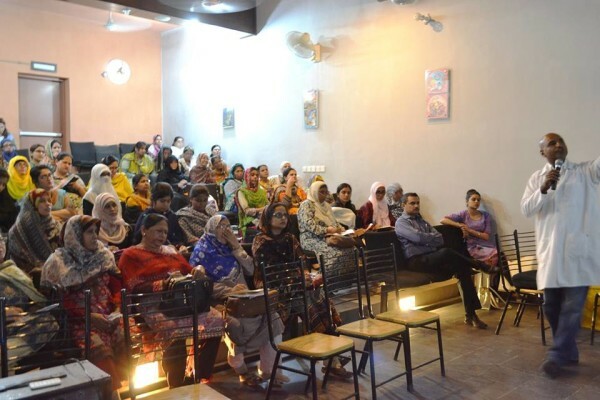 Shahnaz Hunzai from Zindagi Trust for providing us with the premises and other assistance for us to successfully host the Mental Health Workshop. We wish to host many such events with many other beneficiary institutions in the near future. 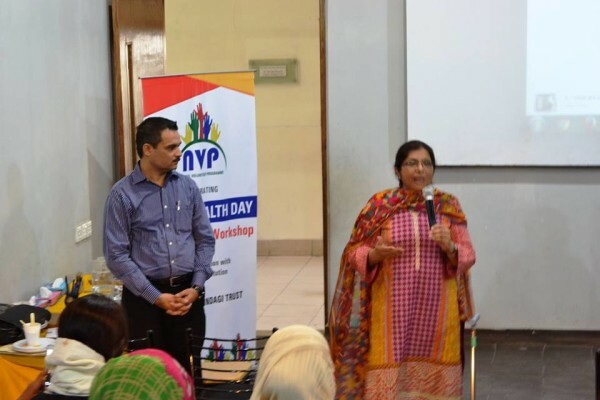 “I would definitely like if NVP arranges such informative workshops in the future too with the topic being according to teachers and students mental interaction.” – Miss Samia Shahid, Urdu Teacher at Behbud Secondary School, Kalapul. 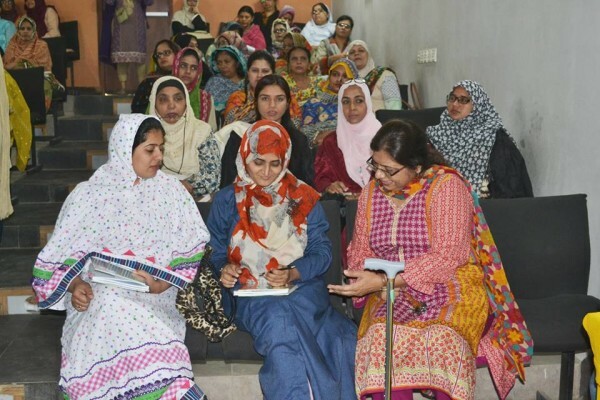 “Such informative workshops help teachers to understand the various methods of teaching.” – Miss Irrum Shakeel, Computer Teacher at Behbud Secondary School, Kalapul. NVP Newsletter – Issue 10 is up! It is with great pleasure that we present to you all the 10th Issue of NVP Newsletter! NVP Celebrating World Health Day – Enroll Now! 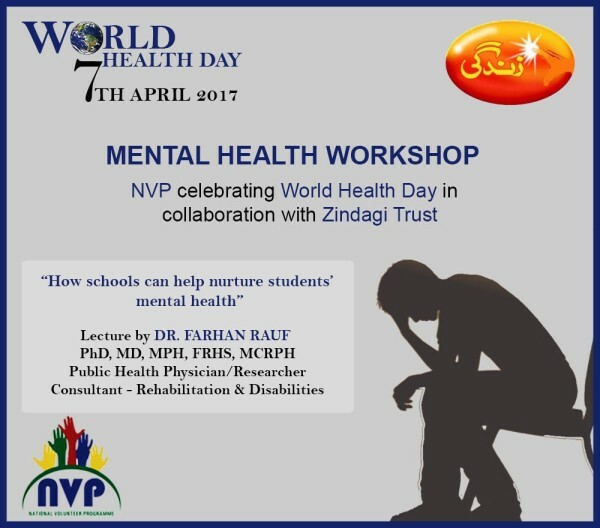 To celebrate World Health Day – 7th April 2017, NVP in collaboration with it’s BI Partner Zindagi Trust is organizing an event for the awareness and management of Depression. The event will consist of a series of lectures by Dr. Farhan Rauf, a Public Health Physician/Researcher. It’s a closed event and the number of seats available are limited. If you are interested in attending, please email us info@nvp.com.pk.